Salford Museum & Art Gallery believed this was possible. 'Burgomeister' or 'Burgomaster', is the English form of various terms derived from Germanic languages for the chief magistrate or chairman of an executive council. It is commonly translated into English as ‘Mayor’. Surprisingly, as soon as the question was opened up for public discussion, the portrait was immediately recognised by three individuals as a copy of the head of the half-length ‘Portrait of a Young Englishman’ by Titian in the Palazzo Pitti. 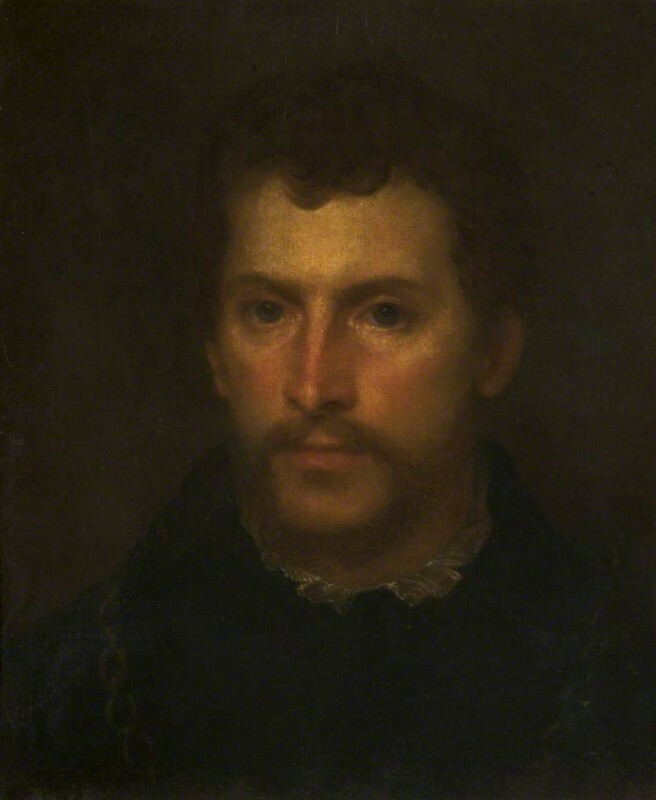 Tim Llewellyn, Continental European before 1800 Group Leader, explained the sitter of Titian’s portrait is not officially known to be English, and may be Italian or German. After the sitter's identity was found, the attribution to Cornelius Johnson was then challenged, as the work did not look to be in the usual style of the painter, and is on canvas, which is again unusual. Karen Hearn, author of the book to accompany a forthcoming exhibition of Cornelius Johnson at the National Portrait Gallery next year, was then consulted. Karen Hearn gave her view there that was no reason to think the work was by Cornelius Johnson. She also explained the name of the artist should be presented as 'Cornelius Johnson', rather than 'Cornelis Janssens van Ceulen': Johnson was born in England, but after he immigrated to the northern Netherlands in 1643 he seems to have adopted the professional name 'Cornelis Jonson van Ceulen'. For most of his life he was known as 'Cornelius Johnson'. The collection emphasised that they would like to retain the historical title of 'A Burgomeister' for this painting, so painting's details were amended to '"A Burgomeister" (after Titian's "Portrait of a Young Englishman") (formerly attributed to Cornelius Johnson)', and the painting listed as a work after Titian. Martin Hopkinson noted that since the work was given to the collection by Thomas Agnew & Sons, which became a significant art dealer, more details should be recorded. The Agnew archive has recently been acquired by the National Gallery and it is likely work will be started on the archive by a PhD student in the near future. Perhaps a future researcher can investigate further when the archive is eventually consultable. Does anyone recognise this Burgomeister?